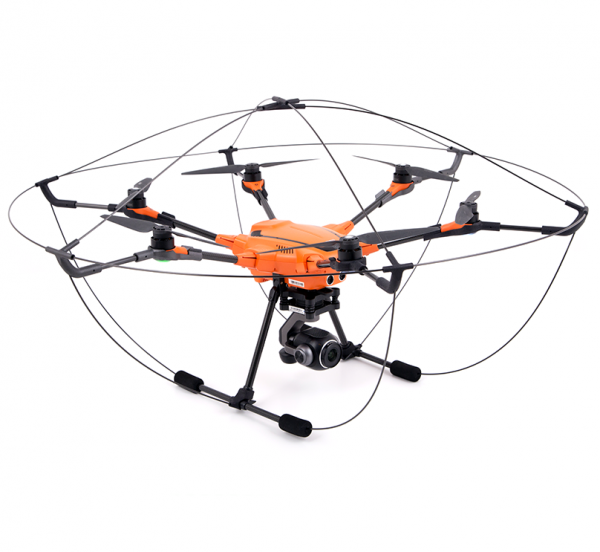 Product information "Bumper Cage H520 / Typhoon H Plus"
Crash me if you can! With the new bumper cage for the YUNEEC H520 and Typhoon H Plus you can fly safely even in difficult and narrow indoor conditions. Your copter and its surroundings are optimally protected in 360° by the robust cage which makes it possible to fly in factories or other narrow buildings. Thanks to the plug-in system, the bumper cage can be easily assembled and disassembled for convenient transportation. Related Links "Bumper Cage H520 / Typhoon H Plus"